Food brands will throw all kinds of glitter and rainbow madness on your food to lure you in for a bite. Arby's is taking a different approach for a new summer menu addition. 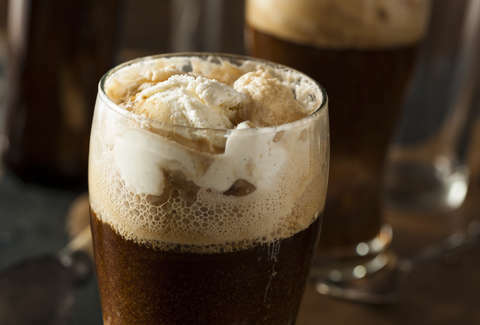 To celebrate the announcement that it's changing to Coke from Pepsi, the home of the meat mountain is making Coke Floats all summer. Even better, throughout the month of July, they're just $1. The float combines Coke with the chain's vanilla shake, and it'll be available nationwide. It's a straightforward promo. Instead of going full unicorn, it feels like something your grandparents might have grabbed at a sepia-tone soda shop. "We are proud to now pour Coca-Cola products at Arby's restaurants across the United States. They are amazing partners with amazing brands," said Rob Lynch, President of Arby’s, in a statement. "We’re known for big, meaty sandwiches and variety that is second to none in our industry. We now have an incredible range of Coca-Cola beverages that perfectly complement our menu." Arby's announced the partnership by setting two Guinness World Records. It created the world's largest and the world's smallest advertisements. The large ad was nearly five acres in size and was built in Monowi, Nebraska, the smallest town in America. It read, "Arby's Now Has Coke." That was preceded by an ad created with Georgia Tech's Institute for Electronics and Nanotechnology. They etched a message onto an actual sesame seed from an Arby's bun. "A big announcement is coming. This isn't it," it said. It's weird, but at least it didn't say, "Help us. We're trapped on a bun."